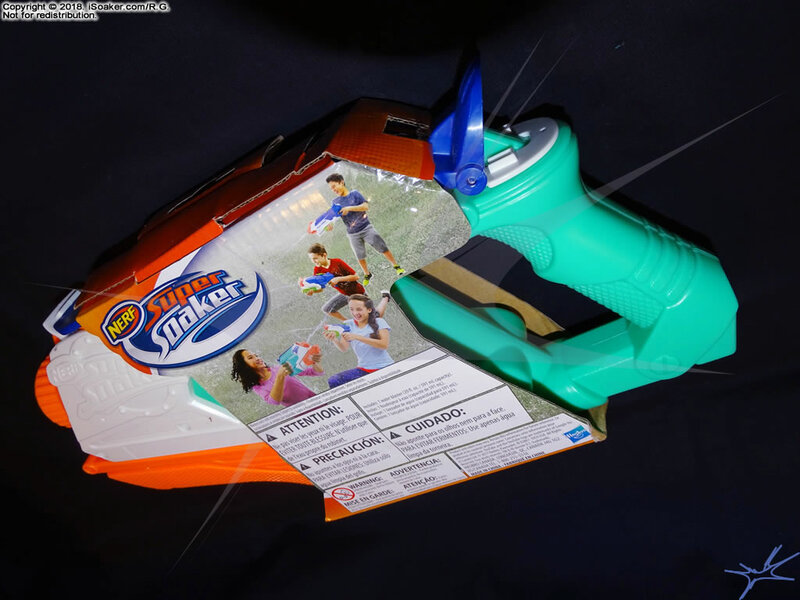 The Nerf Super Soaker Splashmouth is a pump-action water blaster made by Hasbro Inc. for 2018. Its name is derived from the fact that it features a flip-top-like reservoir for "splashing" nearby opponents when a stream just won't do. 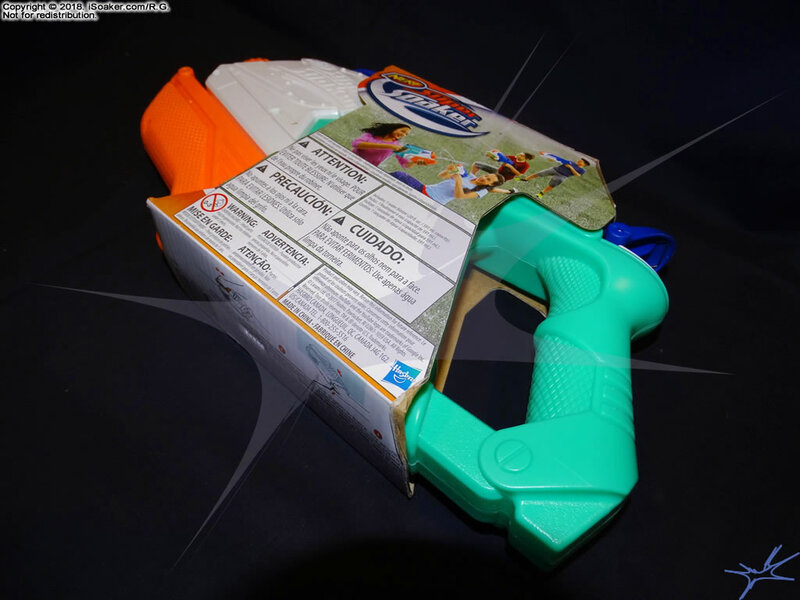 The Nerf Super Soaker Splashmouth has very simple packaging that basically encircles the blaster in a cardboard wrapper. Quite prominently displayed in the center of the right-side panel is the Splashmouth's dual modes: "2 modes - blast and dump!" Neither the front nor back panel list any information on estimated stream range. Interestingly, the capacity of the Splashmouth is noted on the packaging, but only in small print on the back panel. 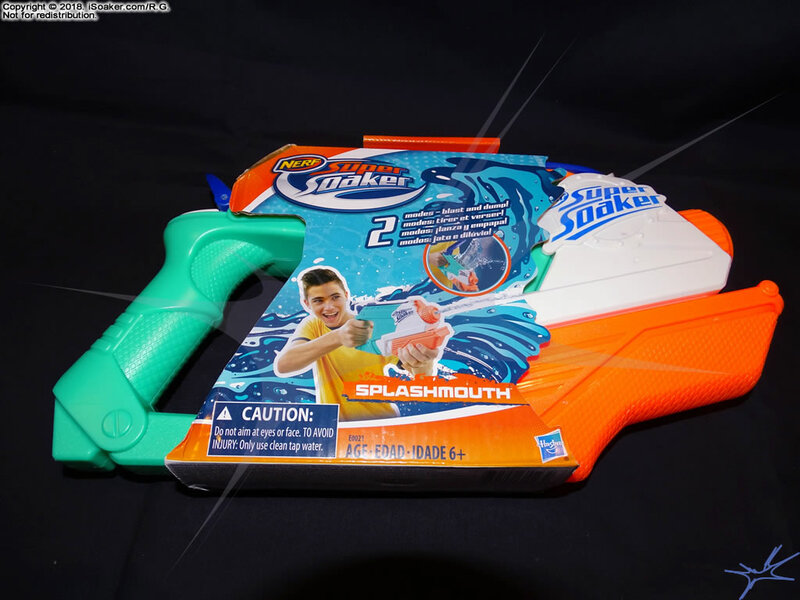 The package lists the Splashmouth as "20 fl. 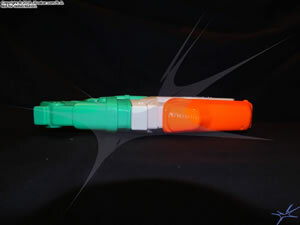 oz." though our own measurements suggest that the reservoir can hold a little bit more water than that. 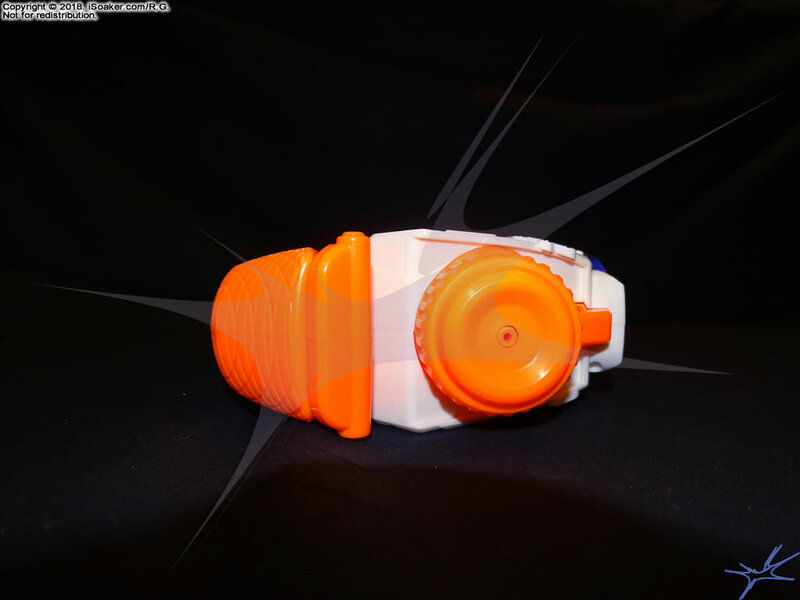 The nice thing about the packaging is that the rear grip and pump can be easily accessed, allowing one to have a sense of how the Splashmouth would feel when in use. 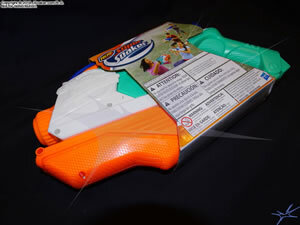 Granted, the flip-top cap is clamped down by the cardboard, but that is preferred to prevent others from possible using this item while it is still wrapped. 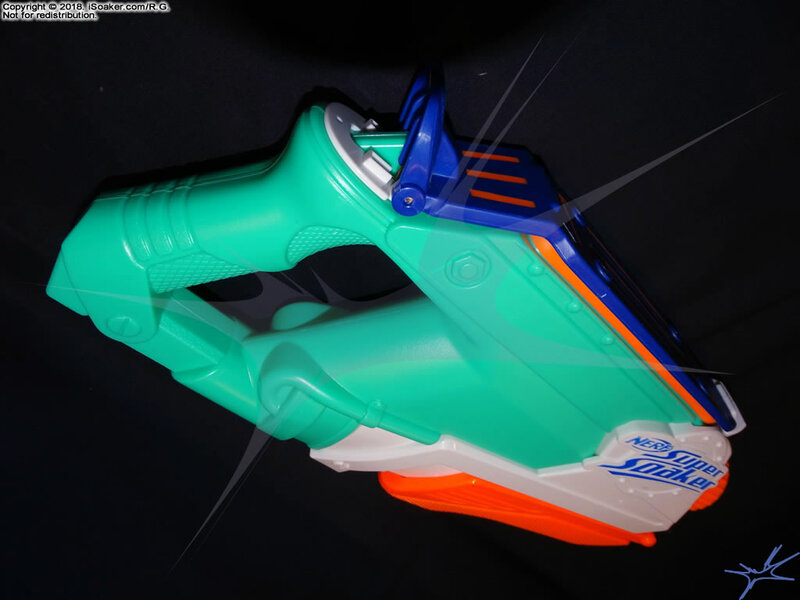 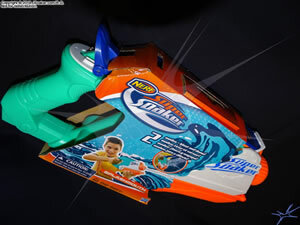 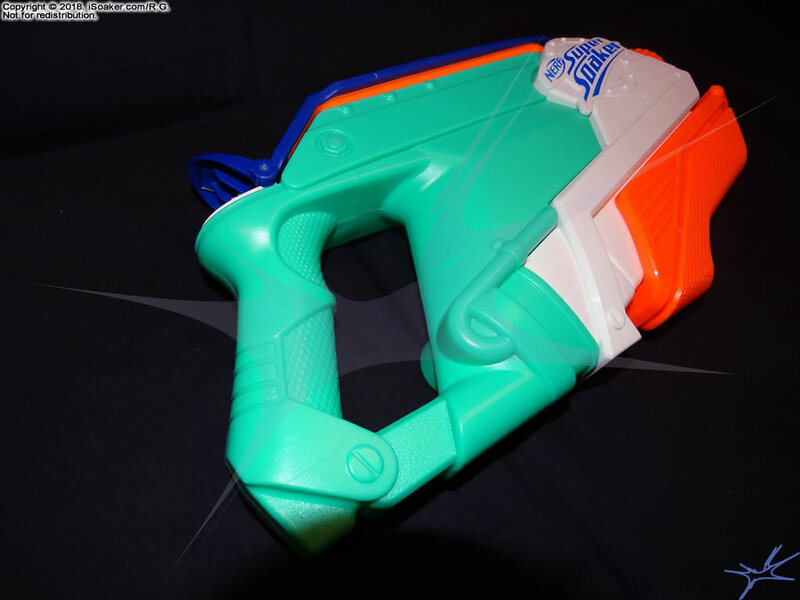 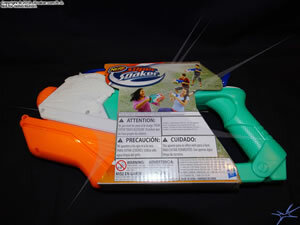 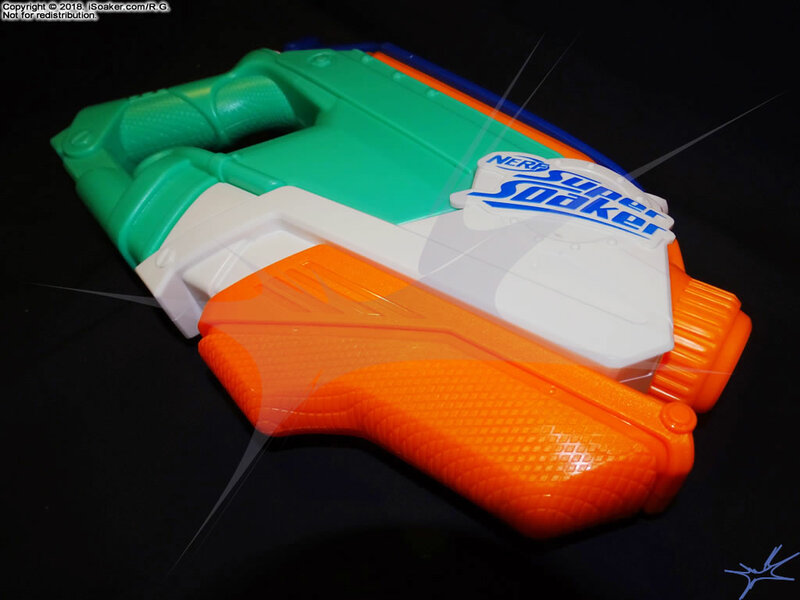 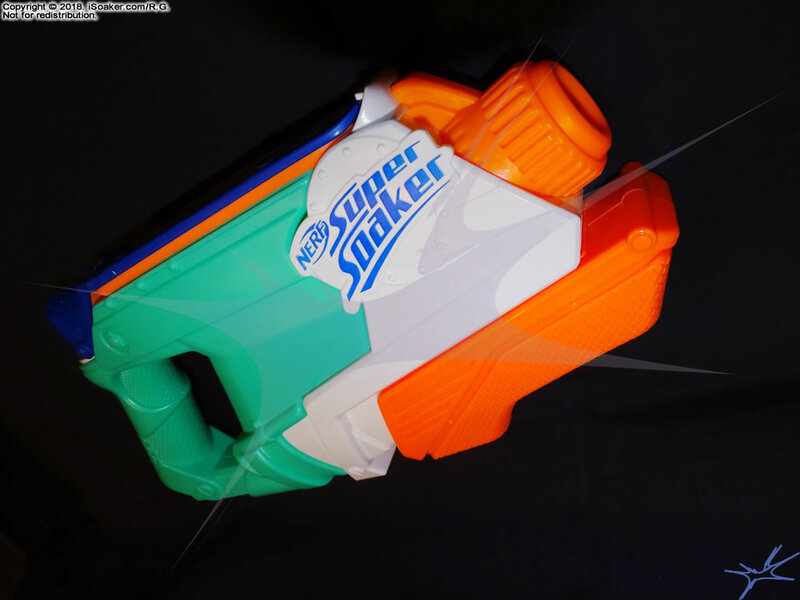 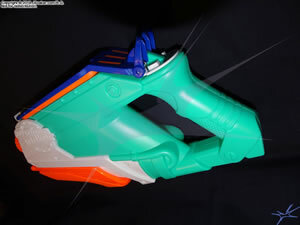 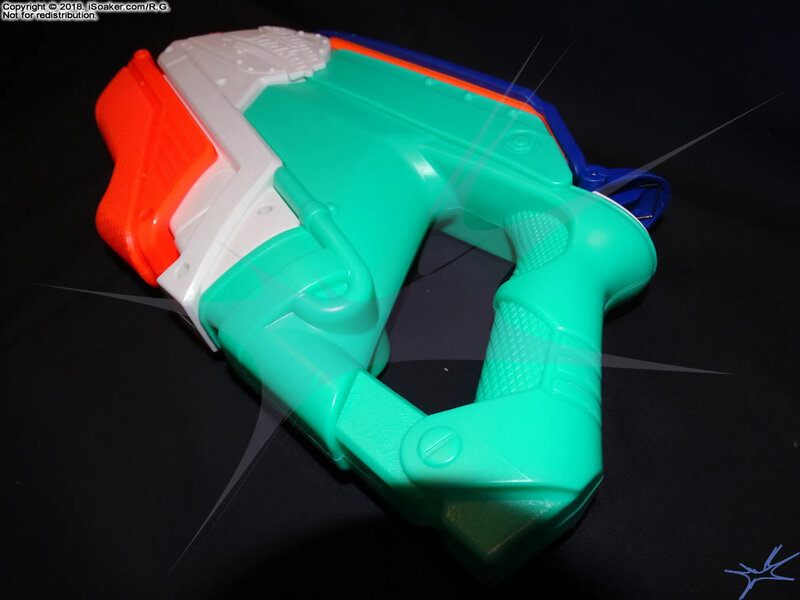 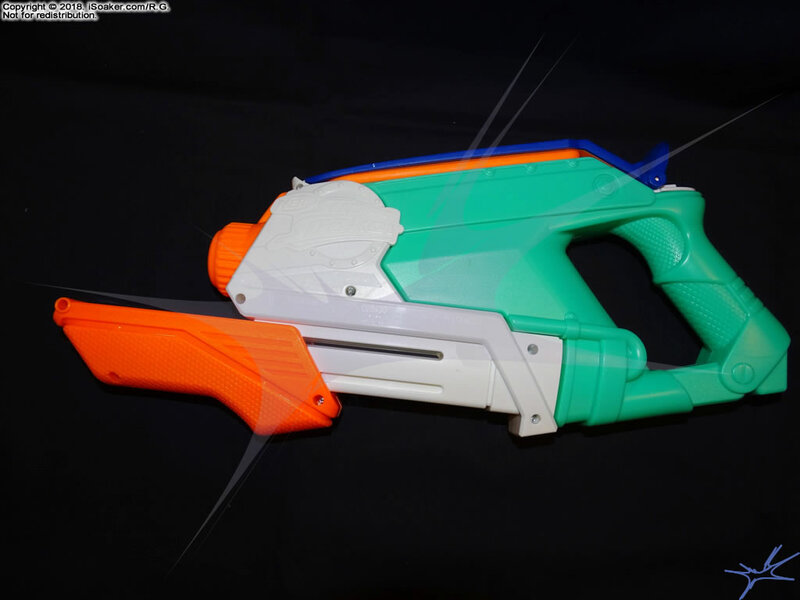 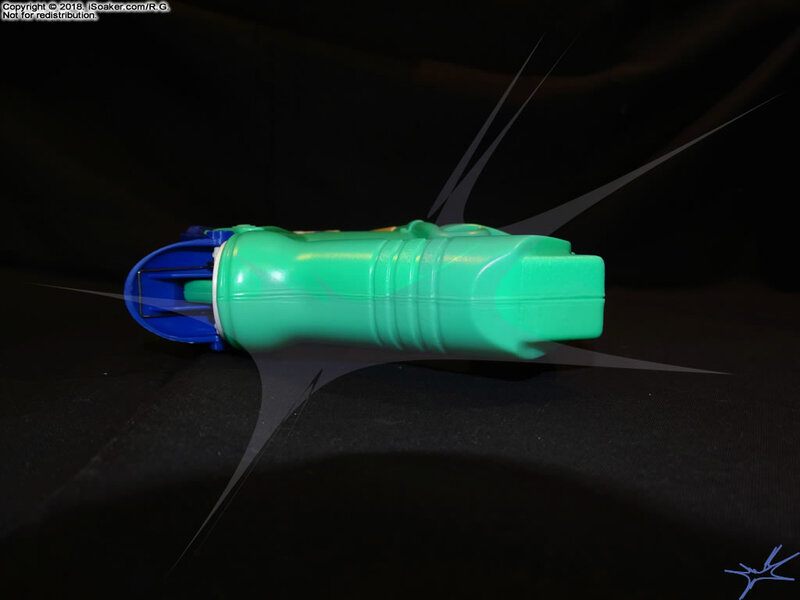 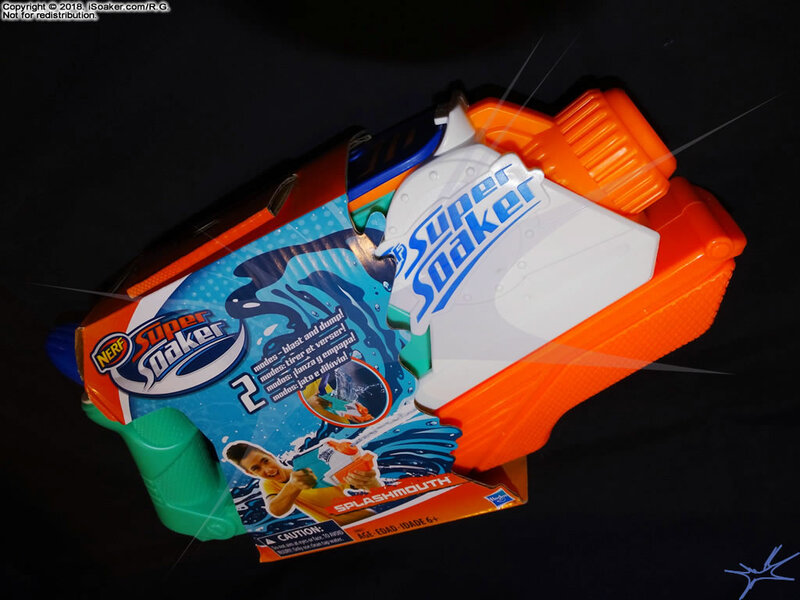 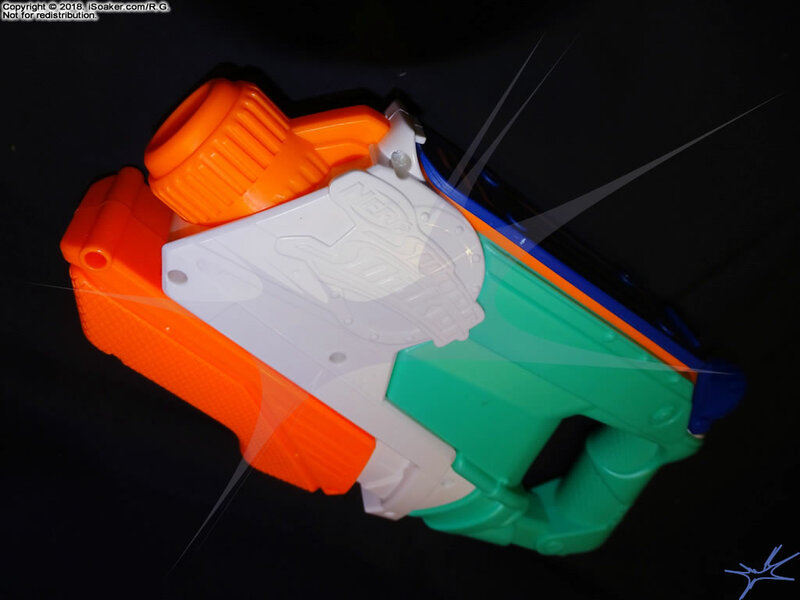 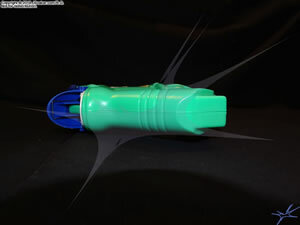 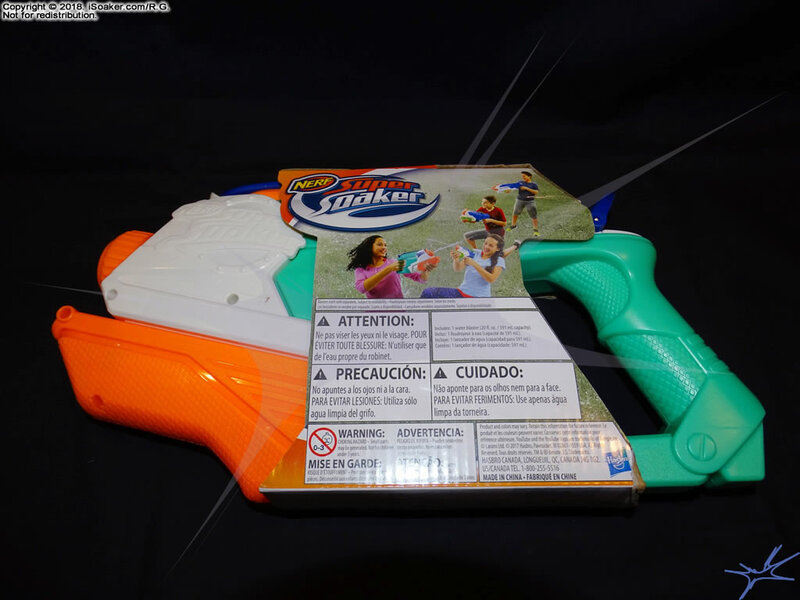 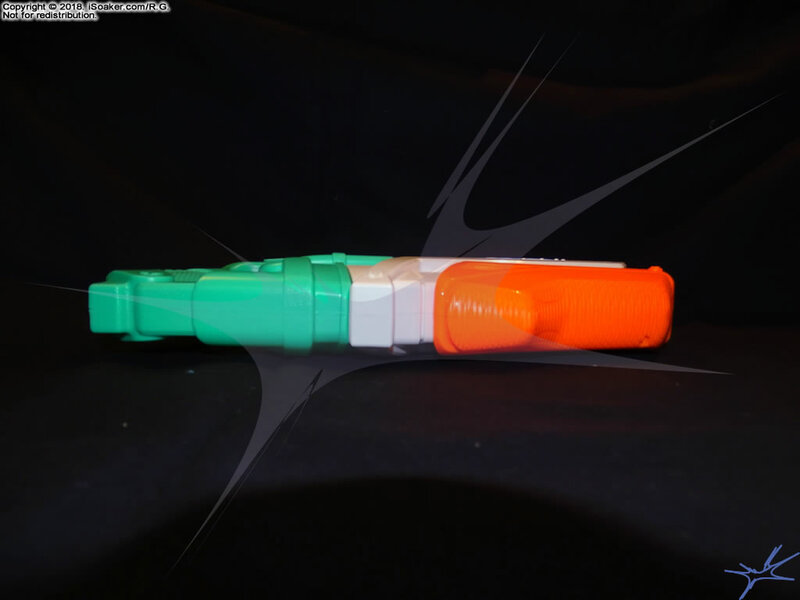 The design of the Nerf Super Soaker Splashmouth is somewhat reminiscent of the Nerf Super Soaker Scatter Strike (2016), the older Super Soaker Sneak Attack (2007), or the much older Super Soaker SoakerTag Vaporizer (2004). 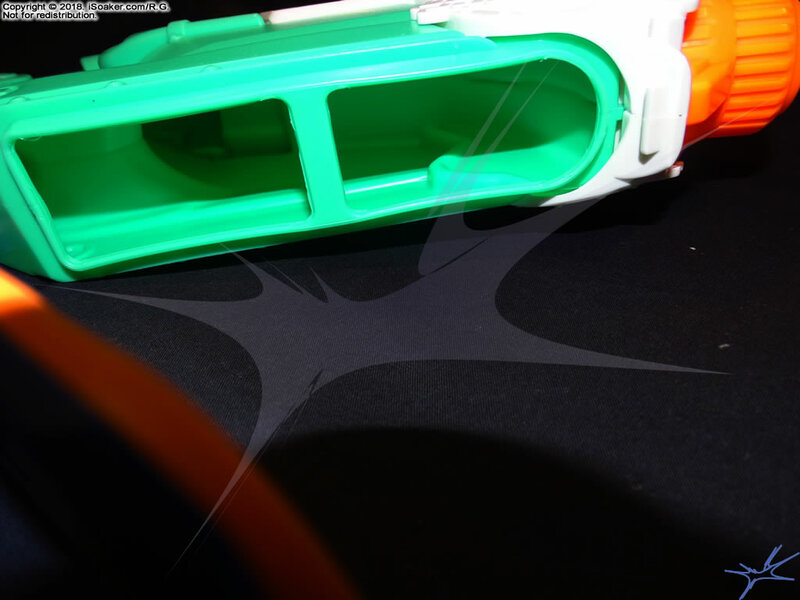 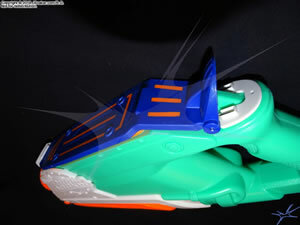 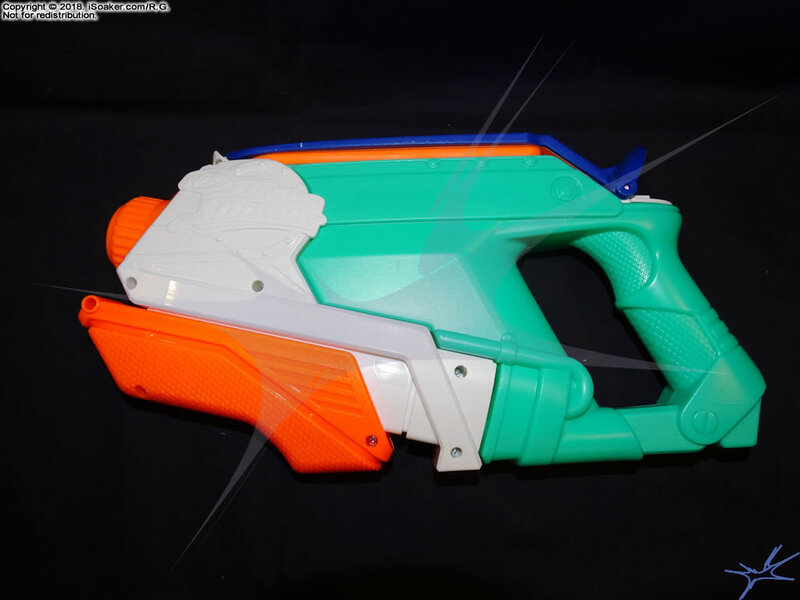 The Splashmouth is primarily a pump with a reservoir that is sculpted to also serve as the back handle of the blaster. 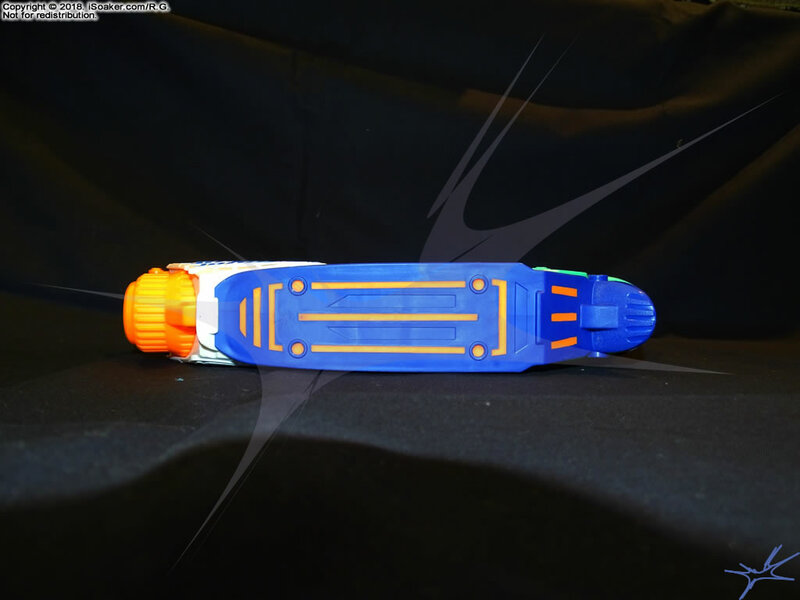 The main difference is the lack of a screw-cap or snap-cap reservoir cap. Instead, the entire blue panel atop the Splashmouth pivots open around a hinge on the top of the rear grip. Like most current Nerf Super Soakers models, the Splashmouth feels sturdy and well-built. 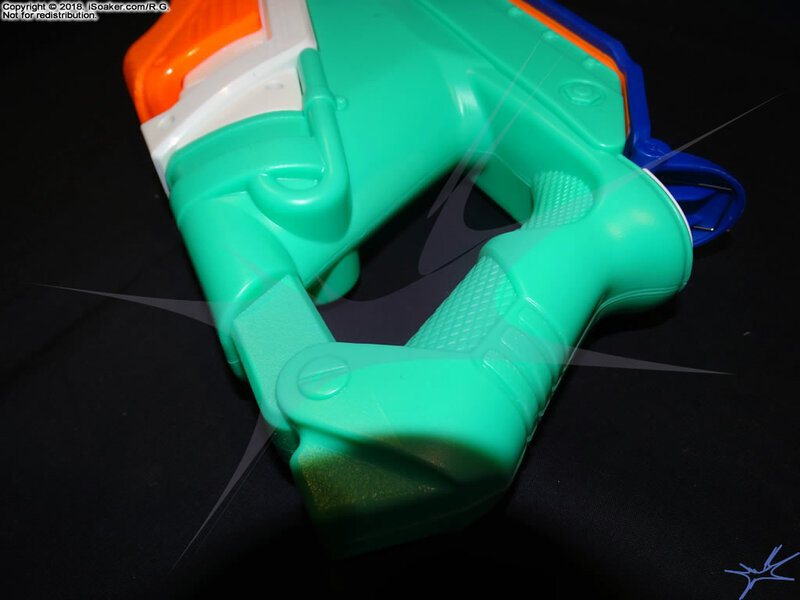 Its pump moves smoothly and its rear grip feels comfortable to hold, though those with larger hands may feel slightly constrained. 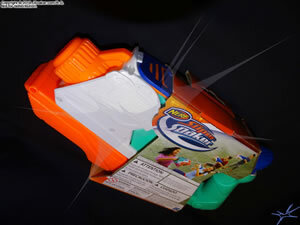 Granted, one needs a large-enough and strong-enough hand in order to be able to reach and use the flip-top cap. For a pump-action water blaster, the Nerf Super Soaker Splashmouth performs expectedly. The pump works well and produces respectable streams (range testing still needs to be done). The Splashmouth's namesake feature, however, is perhaps as one may expect, but ultimately leaves one questioning, "Why?" Activating the flip-top cap requires enough force to bend the lid to clear the tab that younger children and/or those with smaller hands may find difficult. The fact that so much of the top opens and that this is also the only way to refill the Splashmouth also means that there is a much greater area that must remain water-tight in order for this blaster not to dribble. 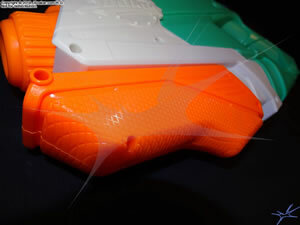 Though slow, it seems impossible to have the flip-top lid seal as securely as a screw cap and some dribbling is likely. 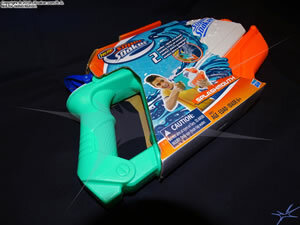 Once the lid is flipped open, one ends up holding a water-blaster-shaped pitcher of water. 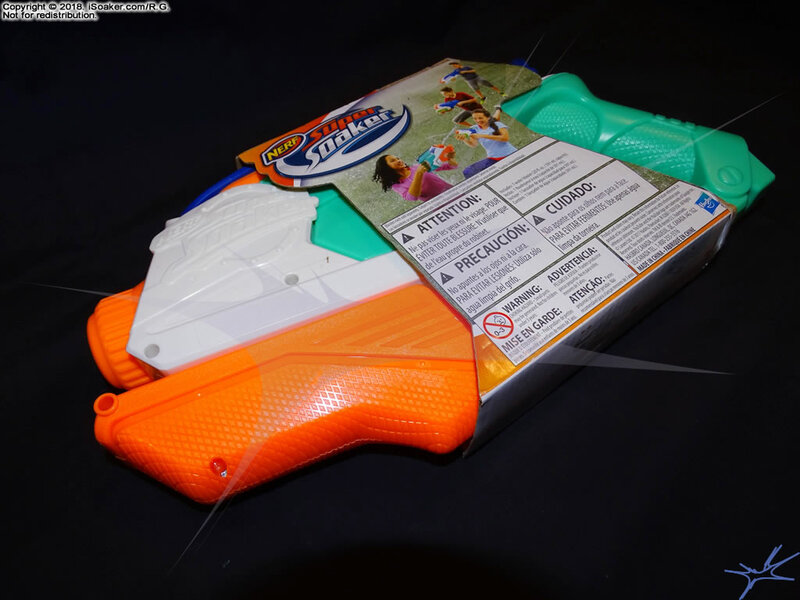 For anyone who has ever tried to soak another person using a pitcher of water or even a bucket by swinging it, one quickly finds out that one's aim is far poorer than an aimed shot and that the distance one can hurl the water tends to be quite short and extremely variable in coverage. It is also a great way to disarm oneself extremely quickly. 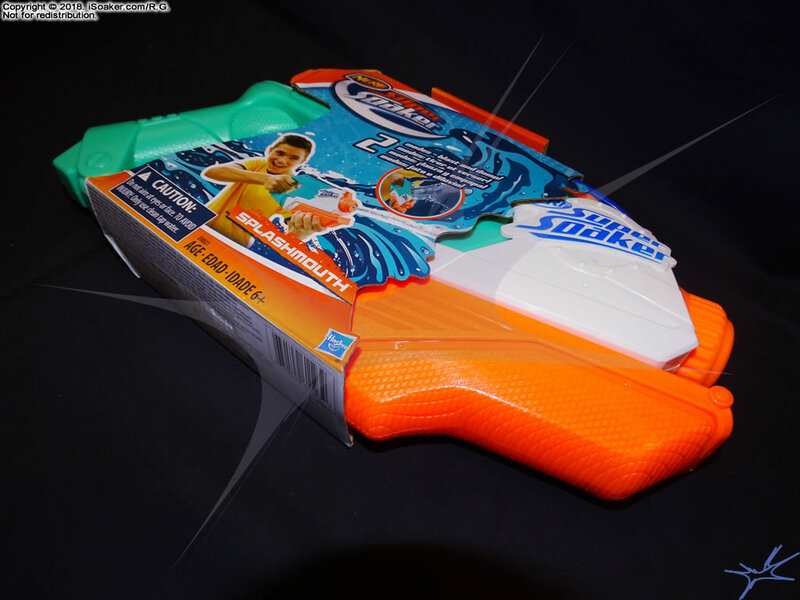 Overall, the Nerf Super Soaker Splashmouth is a functional, pump-action water blaster whose additional functionality actually detracts from its overall value. 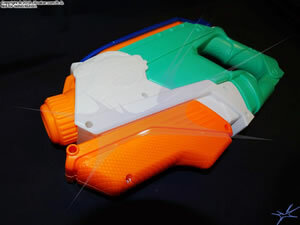 It is also as if the engineers at Hasbro have conceded to the fact that the recent Nerf Super Soaker models have been so underperforming that the only way to still warrant the name "Super Soaker" is to allow this water blaster to pour/splash out its reservoir contents (coming soon: the Nerf Super Soaker Bucket?) 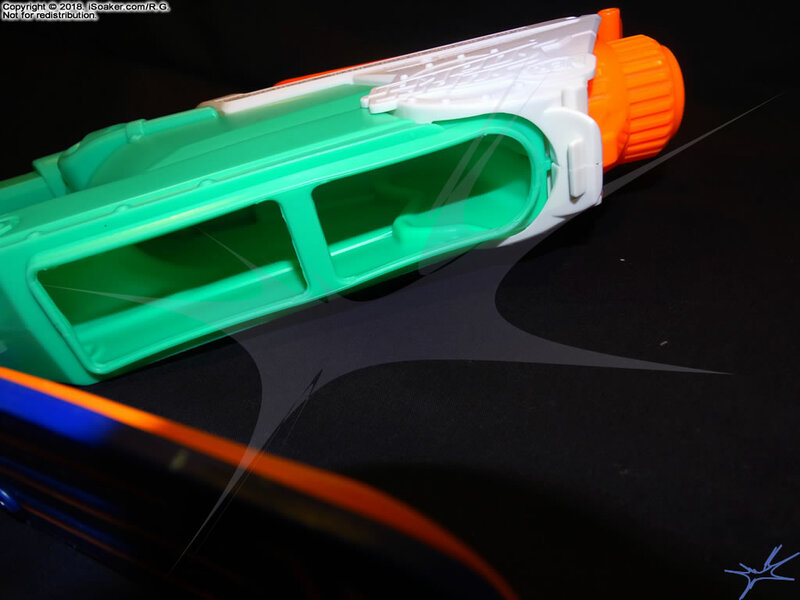 While its pump-based stream performance is decent, its large flip-top cap is prone to dribbling and also makes it more awkward to refill. 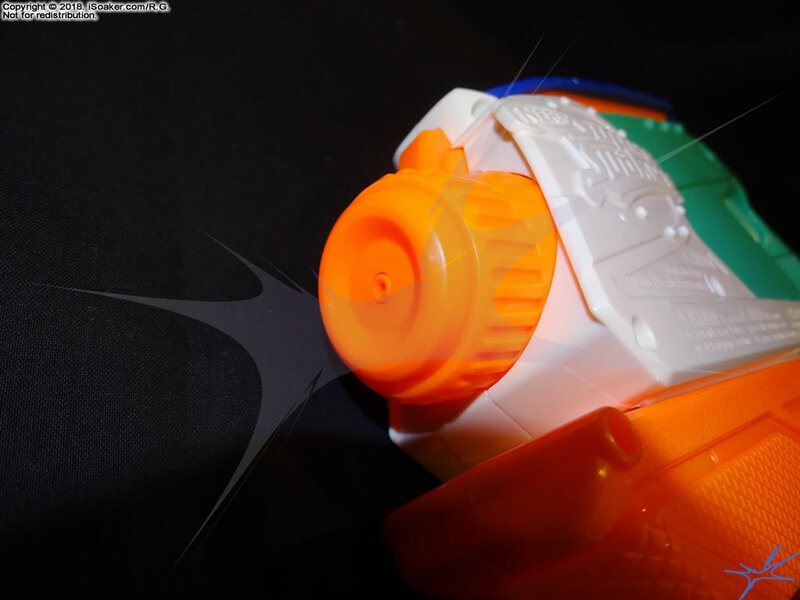 The Nerf Super Soaker Splashmouth is the epitome of a "Nerf'd" Super Soaker for 2018. In the end, while perhaps usable in casual water fights, there are many other pump-action water blasters that perform just as well without the problems the Splashmouth exhibits. 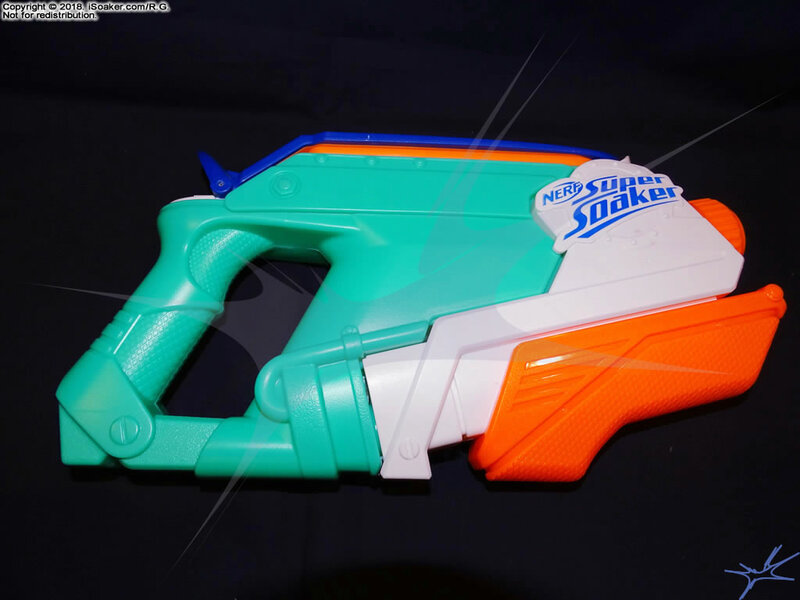 I suppose one can use it if it is your only choice, but the Nerf Super Soaker Splashmouth is probably best used as a loaner water blaster... for your enemies... assuming you prefer wholly imbalanced water battles in your favor.